Adaptogens are natural plant medicines with a myriad of benefits that include helping to boost your body’s defenses against anxiety, fatigue and stress, supporting a healthy immune system and helping to maintain healthy hormonal balance. Adaptogens have a balancing effect on the body in general, enhancing weaker systems while at the same time toning down the activity of overactive systems. You may want to consider adaptogens if you are experiencing a high level of physical or mental stress and anxiety, or unusual tiredness. In this article, we will examine five of the most effective and popular adaptogenic herbs. Jiaogulan is found in many Asian countries and can be mixed into your food or used to make herbal tea. Jiaogulan provides various nutrients including vitamins, proteins, amino acids and minerals, all of which support healthy aging. An antioxidant as well as an adaptogen, Jiaogulan can also help promote a healthy cardiovascular system. Other advantages include helping to maintain healthy cellular growth. Ashwagandha is a shrub commonly found in North America and India whose roots are widely used in Ayurvedic treatment. Some of the benefits of this adaptogenic and antioxidant herb are helping to soothe the effects of stress and insomnia and helping to maintain healthy blood sugar levels. Ginseng root is an ancient herb that can help improve both libido and energy. The thick roots are normally dried and diced, or ground into powder form for use in liquid or pill supplements. Ginseng’s large roots are very potent, taking years to completely mature. There are many types of Ginseng root, but the most common are American, wild, and Panax. This herb can help alleviate the effects of stress and tiredness, promotes healthy blood sugar levels and can help maintain a healthy immune system. 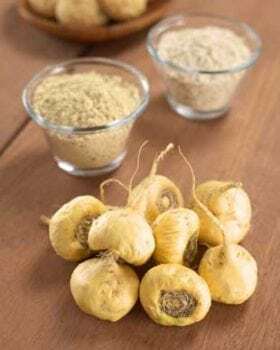 Maca root has been used as a medicine since ancient times. This plant was initially utilized in its native Peru, where it was used by the Inca to enhance libido and improve libido-related sexual performance. In addition, maca root can help promote feelings of well-being, helping to address some of the mental factors that can contribute to low libido. Research indicates that in men, maca root can help promote sperm health and maintain healthy hormonal balance. Maca is not only beneficial to men, but to women as well. The root can be used to help soothe menstrual discomfort, and its high nutrient content may help protect against symptoms associated with the body’s inability to effectively absorb the minerals and vitamins it requires. 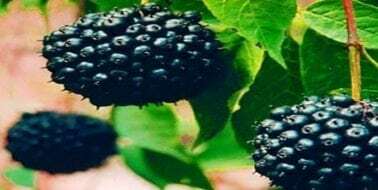 Eleuthero is a very powerful adaptogenic herb. Like all adaptogens, eleuthero helps the body to adapt to environmental changes and stressors. In addition, it can be used safely and for long periods of time. Although eleuthero does not eliminate the causes of stress in your life, it can help to combat the effects of stress by making it easier for the body to adapt to stress and anxiety. Eleuthero can also help promote healthy cognitive function. In addition, it promotes a feeling of calm when under pressure. With eleuthero, you can enjoy enhanced vitality without that energy roller coaster or jitters produced by stimulants such as caffeine. Despite our best efforts, stress in our lives is inevitable. There are several techniques you can use to reduce stress, including getting enough rest and trying to maintain a positive outlook on life. Anything that nourishes the spirit including nature walks, exercise and meditation are also great ways to reduce stress and energize the soul. Using adaptogenic herbs along with these other lifestyle changes can help reduce feelings of stress and anxiety, and promote a calm sense of well-being.